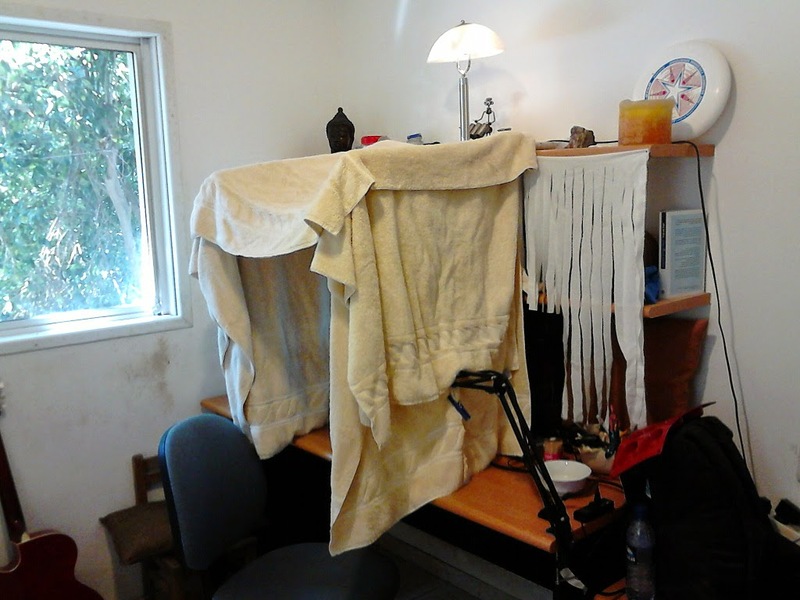 So, I have shown my home "studio" before, a few times. With each step, things improve, sound better, and are more comfortable. But, even though I had good reverb reduction, I never quite managed to completely remove it. I ran some tests, and found that most of my reverb came from the top and sides, rather than from behind me. 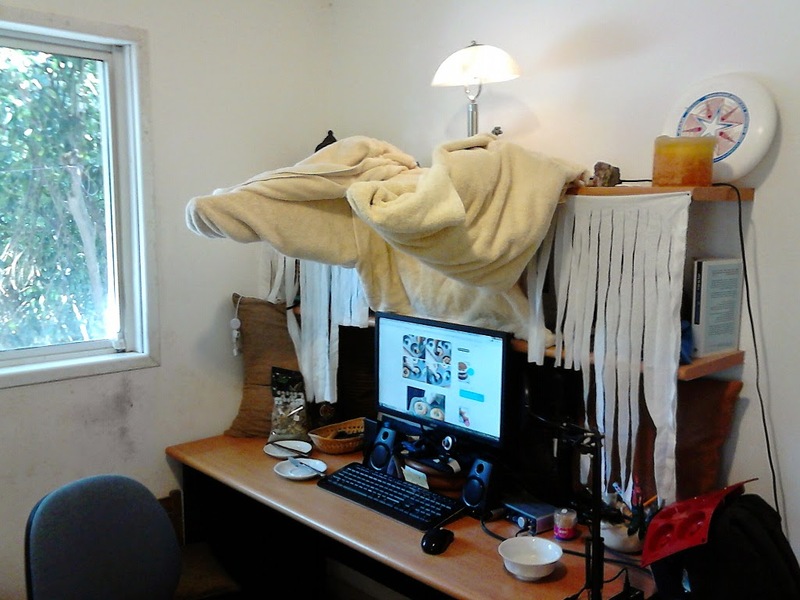 So, using bamboo poles connected to the top shelf, I hung thick extra blankets that I had. Bamboo pole, hidden under blankets. First, I drop the two side curtains. I got the idea for using towels from guys online, who wrote about it. Large towels are more accessible for me, than large blankets. Saves me cash. Also, their thickness is undoubted! They mute jumping echoes! 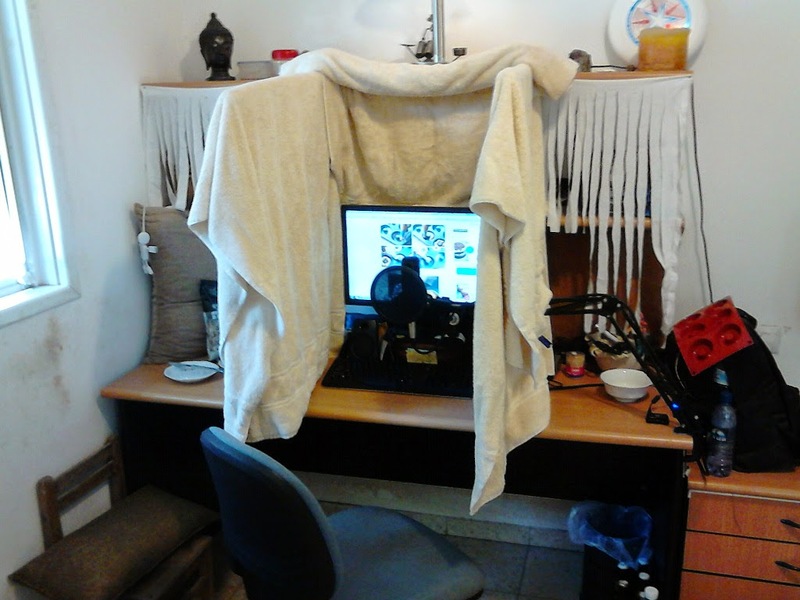 I cut a slit into the side towel, so the microphone and arm-stand can go through it. It is kept closed with a simple clip. Then, I just unfold the top towel, and I'm done! 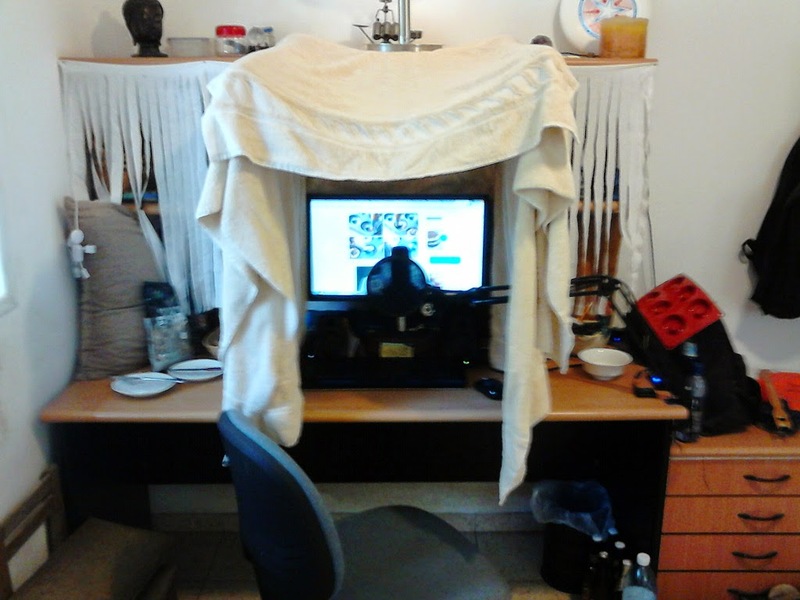 I used the bottom part of the top towel, to close the top of my screen area, where I have another shelf. 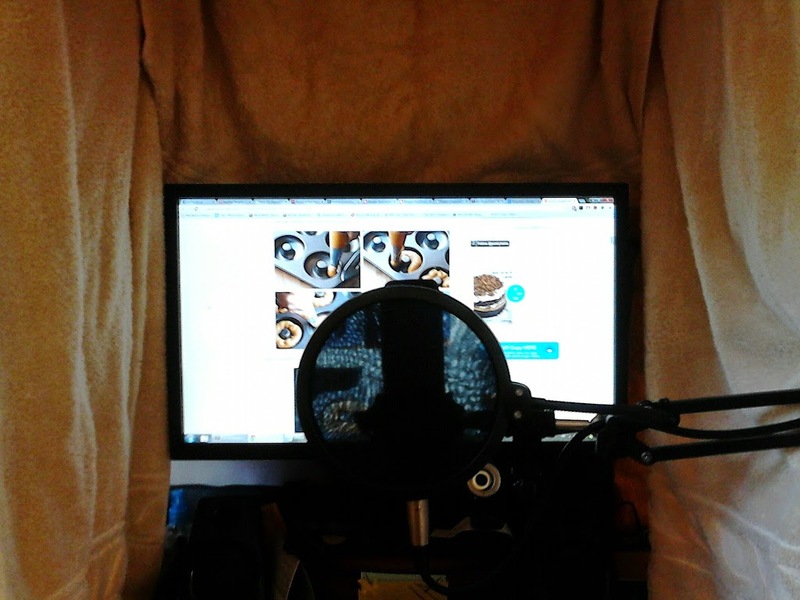 I have simple pillows behind the screen, to block echo from the front, which is critical. As you can see, it is a simple and effective solution. It is also very comfortable! And quick to fold and unfold; between ten to twenty seconds. 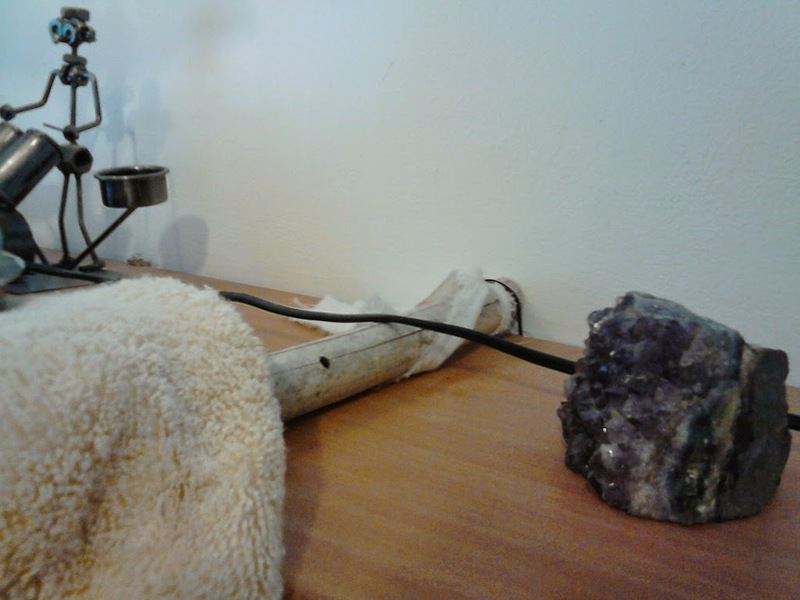 I did have the bamboo poles bulge further than the desk, by about 10 centimeters, or 4 inches, so that I get good coverage.